Methodology – Where do these numbers come from? I frequently get asked “where I got my numbers” for production numbers and other details. Are they from BMW? Did I make them up? 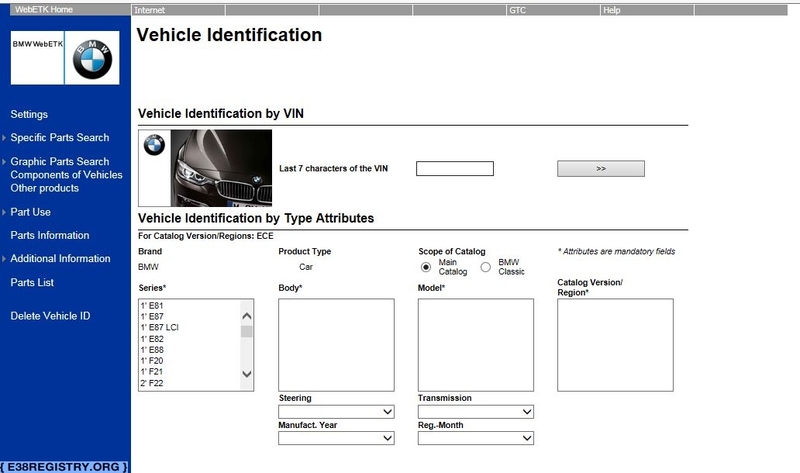 In addition, I was able to determine the VIN ranges for all of the model codes, based on internal BMW documentation, data published on websites, and educated guesses. 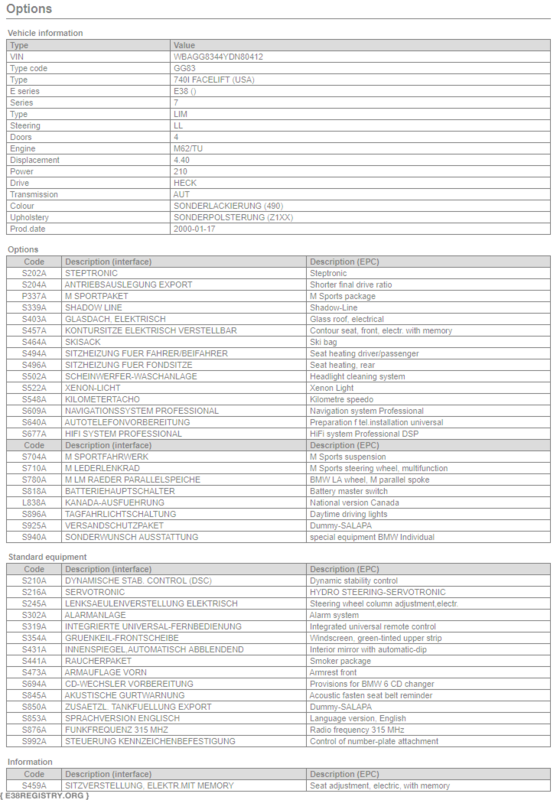 With the VIN ranges determined, it was only a matter of acquiring the build sheets. 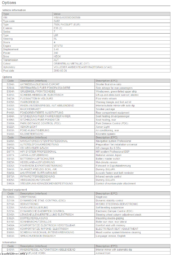 That took several months, but eventually I compiled all of the build information, including Individual Data. From there, it was reasonably easy to export everything into a database (h/t to SickFinga of MaxBimmer for helping me out with the coding), and start crunching production numbers. Color codes, upholstery, and other interesting information was also now accessible. 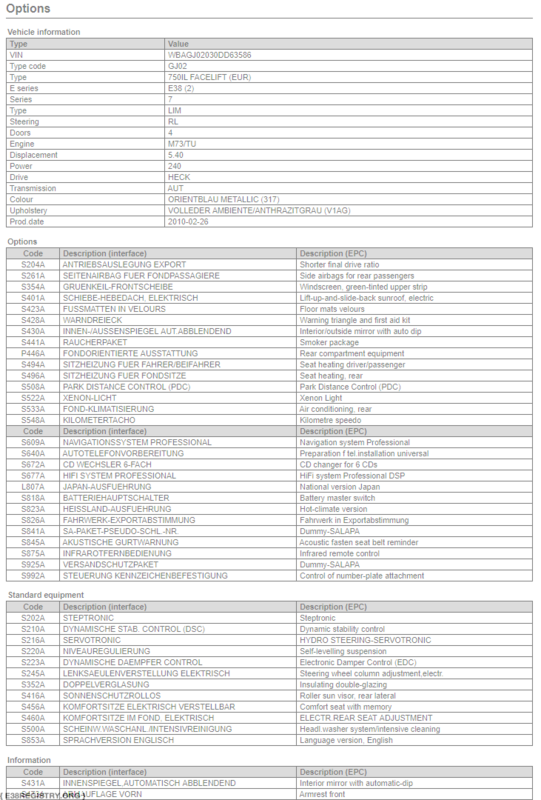 Another thing I keep track of, in addition to submitted cars, are cars that are For Sale, have been recently Sold, and cars that are Dead (or have been branded as Salvaged). 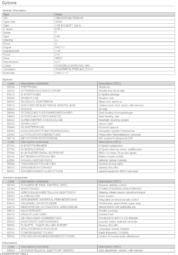 Creating detailed pages for every single E38 for sale would be not only time consuming, but very difficult, given the reluctance of some owners in sharing their VIN numbers. 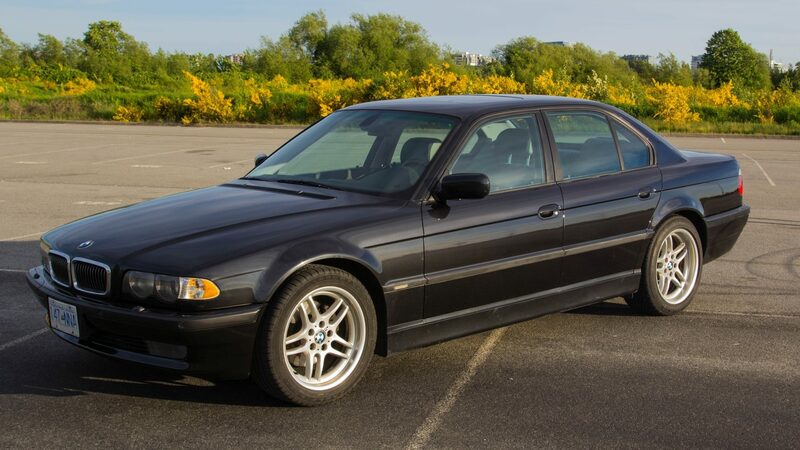 However, if the car is rare (less than 2000 or so of that specific model produced), or has been ordered through the BMW Individual program, I will usually create a page if one of them is spotted for sale (and has identifying information). 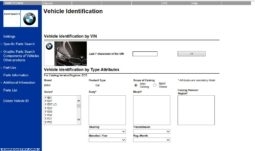 Finally, I’ll list a car as Dead if it shows up at an auction with a Salvage title, or if it’s spotted at a junkyard or breaker, or parted out by someone in a forum or Facebook.